Whether you’re a student, TRIO supporter, or proud graduate, help us commemorate the many lives touched and transformed by this national program. Dr. Jennifer Brookins-King is the President of the Minnesota TRIO Association, a consortium of college access and success programs. 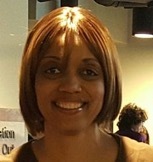 Since 2004, Dr. Brookins-King has served as the fearless leader of the TRIO Starting Point/Student Support Services Program at Minneapolis College, a community and technical college. She is a forever athlete originally from Chicago, Illinois. She is also a proud first-generation, income eligible college graduate who earned her Doctorate Degree in Education from Iowa State University. Jennifer has over 20 years of experience in program management and over 10 years of college teaching experience. She strongly believes in the motto “students first” and is deeply committed to helping all students achieve their educational goals, especially students who are first-generation, income eligible, and students with disabilities. Awale Osman is currently a Program Officer at the Bush Foundation where his creative leadership style expands the scope of what is possible in philanthropy. He received his Associates Degree from North Hennepin College before transferring to Augsburg in 2013. He graduated from Augsburg in 2015 in Communication Studies. Awale has experienced much change–from war-torn Somalia, Kenyan refugee camps, learning English as a third language, to graduating with high academic honors–and created much change–expanding after school opportunities for Somali youth, impressing upon congress the value of federal TRIO programming, and activating safe spaces for women and people of color. 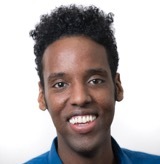 Awale enjoys exercising at his local CrossFit, watching House of Cards & Game of Thrones, trying to make Somali food as well as his Mom or Gram, and traveling as much as possible. Felecia Zahner graduated from Augsburg in 2015 with a degree in Sociology, however she still considers herself an Auggie! Her journey at Augsburg started in the TRIO/SSS Summer Bridge program, where she blossomed from an insecure high schooler “wondering what am I going to do with my life,” to an inspiring humanitarian. Her passion for human rights led her to a small town in the countryside of El Salvador where she studied abroad. Not only was this trip her first time leaving the country, but it ignited her interest in the topics of immigration, migration and asylum. Today she works for U.S. Citizenship and Immigration Services where she has a sense of purpose at work— promoting, protecting and fulfilling human rights for all. Since graduating she has had two children, Ava (age 5) and Elliott (age 2) and she has continued her love for traveling!